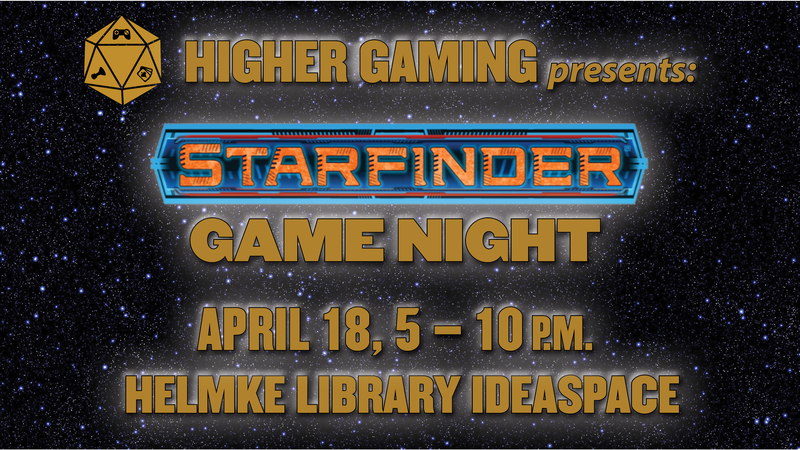 Join us for an evening playing Starfinder! We will start with “The Commencement,” where players will complete initial Starfinder training and then be assigned a series of missions by key leaders of the four Starfinder Society factions. The Commencement introduces new players to the Starfinder game system, the factions of the Starfinder Society, and important areas on Absalom Station, the massive space station in the Pact Worlds. Each mission takes about one hour to play. Players can move in and out of the game as they wish. Ready-to-use characters will be provided so players can jump in and start playing right away. Please register at the Service Desk on the first floor.